At some point, you may be interested in changing something about your neighborhood or Olympia. The City of Olympia encourages this. We all want changes to happen instantly, but a public government can't be run that way. It's useful to know how the City government is organized and operates, so that you know who does what, and when. Sometimes, changes in policy can only be made by changing allocations in the City Budget. This page is an attempt to help you get things done in Olympia. 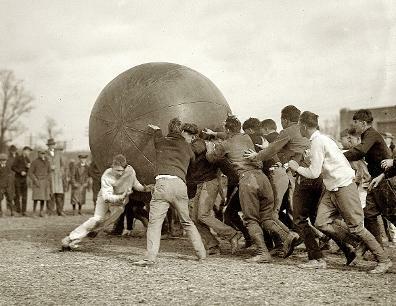 It takes time and perseverance, but ideas that began with Olympia individuals become City policy every year. First, if you and some neighbors want something changed in your neighborhood, contact your neighborhood association (NA): see the Who We Are page. It's important that the majority of your neighbors think your proposal is a good idea before you try to get the City involved. If it’s an idea that would be beneficial to your whole sub-area, get ONNA involved. More people supporting an idea makes it more likely it will be accepted. If you are proposing a new idea, your NA can contact Community Planning, or write a council member about the idea. You can then meet with a City Planner, or show up at a council meeting to present your idea. 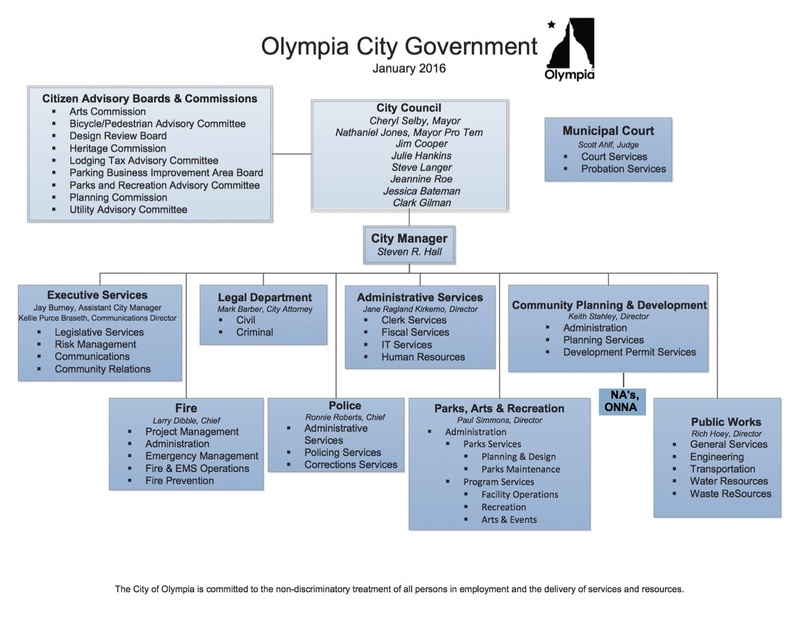 The council can then direct one or more of its advisory groups (like the Planning Commission: see City Organization Chart below) to include you in their meeting, so that they can see if your proposal is consistent with the 2014 Comprehensive Plan. If it is, there may be public hearings to make sure the Olympia public has no serious objections to your idea. Then, it can be sent back to the council to approve it and make sure there is money to carry it out. To understand the Cityhierarchy, see the City Organizational Chart. If your proposal requires new money, the City Budget Process shows the series of steps needed to change the budget. As you can see, it will take time, but with council support, it WILL happen. If you are reacting to a proposal someone else in Olympia has made, like changing the zoning of a certain area, it’s important to attend public hearings, whether you are for or against the proposal. The City regularly sends notices to your NA representatives of any proposed developments or changes in, or near, your neighborhood. Make sure someone on your NA board is assigned to alerting its members about issues affecting your neighborhood.